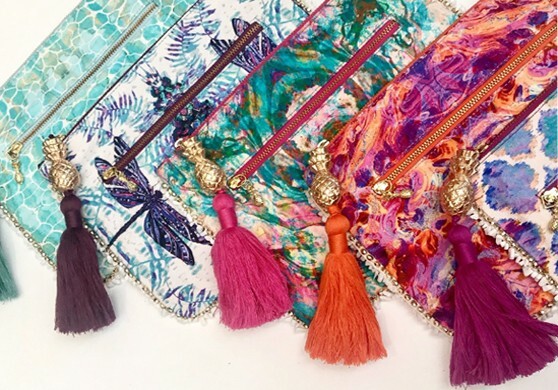 These striking clutch bags from Sophia Alexia are designed to co-ordinate perfectly with beautiful resort wear collection. 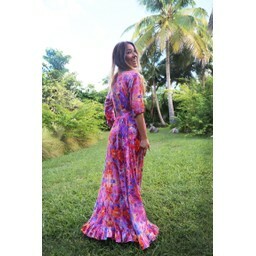 Perfect for any holiday vacation, Sophia Alexia is a luxury resort wear brand that focuses on stunning prints and luxurious fabric. 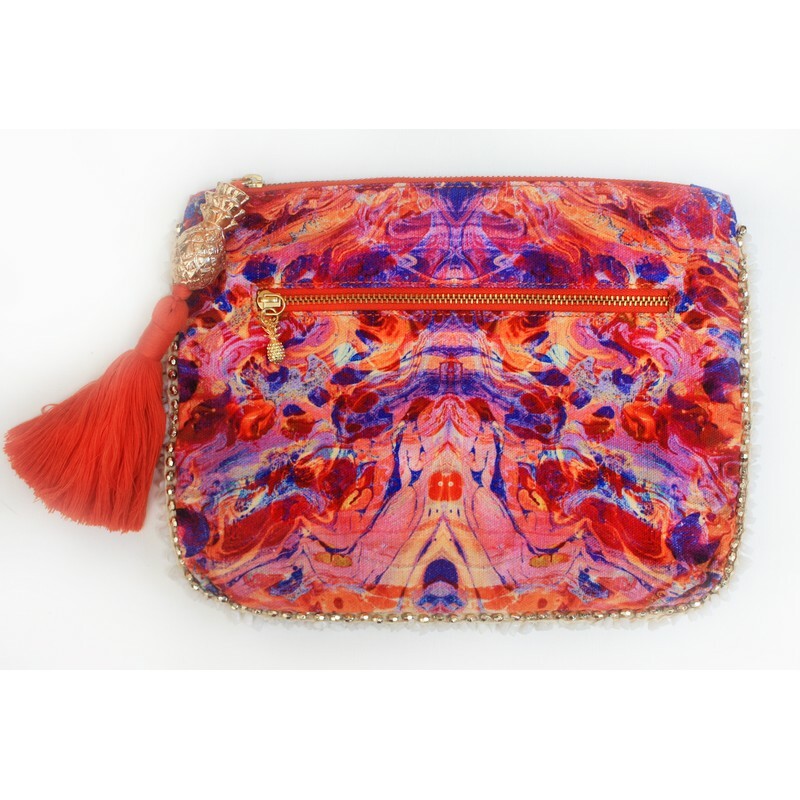 Sophia Alexia clutch bags have a zip fastening at the top with gold pineapple and tassel detail. 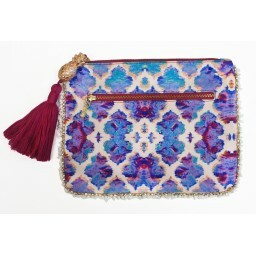 Added beaded detail runs around the edges of the bag with additional pocket on the back. There is also a separate pocket on the inside of the bag.